The bruunmunch Pump 2-seater XL by designer Peter Barreth is a comfortable lounge sofa with its carefully chosen proportions and its comfortable padding that invites you to linger and can be very easily extended thanks to its modular structure. The low back and the armrests provide sufficient support to ensure a high degree of comfort. In addition to the preconfigured versions, the pump couch is available in further versions and individual modules, this way the sofa can simply be extended or converted if necessary. With centre or corner modules and an extra pouf, the sofa allows to be configured according to your very own ideas. The sofa is available in other fabrics / colours, as well as with an Ottoman and extra modules upon request. Individual image of the Pump 2-Seater XL by bruunmunch with Kvadrat fabric Rustic 136. Rustic 136 consists of 56% cotton, 12% linen, polyester and viscose and 8% poly-acrylic material. 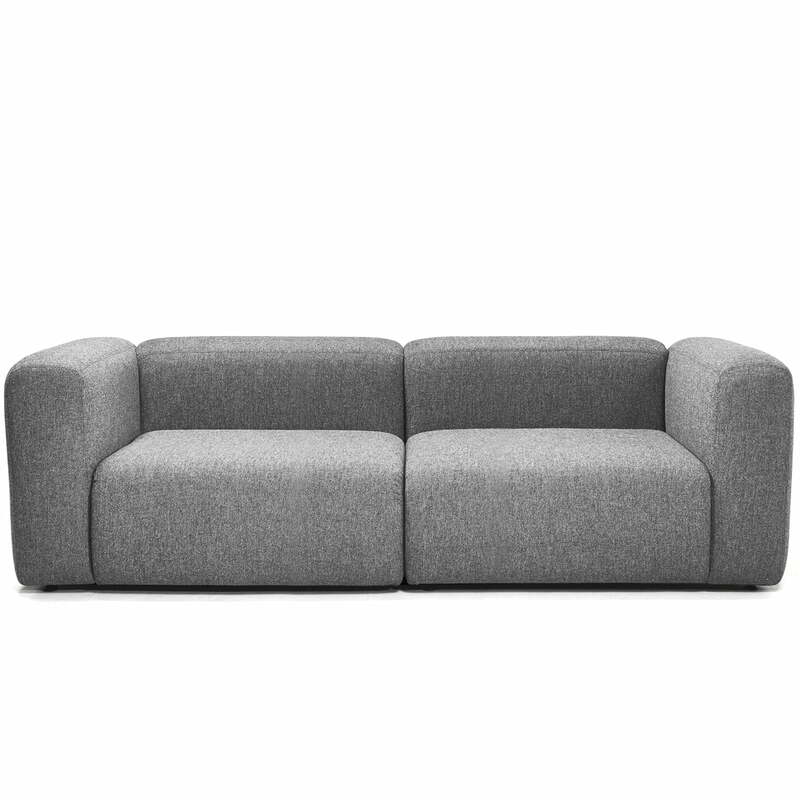 Individual image of the Pump 2-Seater XL by the manufacturer bruunmunch with Kvadrat fabric Hallingdal 130. Hallingdal 65 - 130 consists of 70% wool and 30% viscose.